Kathleen McGovern has more than 25 years of experience as an interior design and home renovation professional. She has managed significant interior design projects in Michigan, Arizona, Colorado, California, New Hampshire, Maine, Illinois and Florida. She has been privileged to style interiors in homes designed by such noted architects and builders as Robert O’Derrick, Alden Dow, Louis Redstone, Hugh T. Keyes, Wallace Frost and Hilary Micou. Kathleen McGovern Studio of Interior Design has earned the reputation of being one of the region’s premiere home renovation and design firms and the distinction of being selected for the renovation of the Michigan Governor’s Residence. She is well respected by her clients, among her peers and by members of the design and building industries. Kathleen has been a supporter of the Junior League of Detroit and Detroit Symphony Orchestra by participating in seven consecutive Junior League Showhouses and in two Symphony Showhouses. 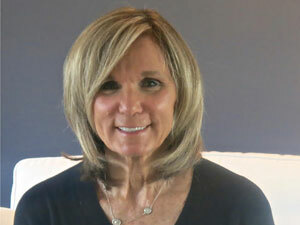 Kathleen is a life-long resident of Michigan and maintains her primary practice in Grosse Pointe. A satellite studio is now established in Bonita Springs, Florida. Kathleen’s team has been featured in Home and Design, Detroit Home, Kitchen and Bath, Gulfshore Life, Signature, Style, The Detroit Free Press and The Detroit News Homestyle Magazine. 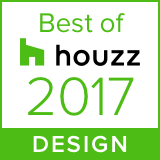 They are the recipient of 29 Detroit Home Design Awards for both Design and Use of Color. Kathleen McGovern Studio of Interior Design is an Allied Member of the American Society of Interior Designers (ASID)—the design industry’s premiere professional organization.